Have you ever thought you knew exactly how something was going to go, only to be surprised when it doesn't work out that way at all? I thought I knew where the ending was heading, but then I got caught up in all of the surprise twists, especially when they were almost too crazy to be true. The fun really starts when Charlotte and her best friend and co-worker, Jack, attend a Brazilian party and get these wish bracelets. Three wishes? No problem and Charlotte is shocked when most of them almost immediately start to come true. Jack challenges her to go on 50 first dates, which results in hilarity and unbelievable, laugh-out-loud entertainment. The story is broken up into three distinct parts. First, we are treated to Jack's and Charlotte's working relationship, as well as the 50 dates. Next, we are taken to Brazil, where Charlotte attends her cousin's wedding and a whole new world is opened up to her and to the reader. I loved the descriptions of this beautiful place. And last of all, we are given when happens when the two former parts merge. The real emotion comes to play with the easy banter and comradery that Jack and Charlotte have with each other. I loved their friendship and that they have each other's backs. Through all the ups and downs that this story brings, the romantic element shines through and is my favorite part. I wanted a little more of a spark, but I was still happy with how it all turned out. 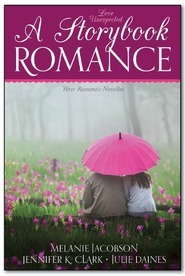 Content: mild romance; moderate religious elements, specific to the LDS religion. This book was such a fun read. There were times I questioned why Charlotte and Jack didn't figure things out sooner, but I understood the reasons why. Then when Charlotte met Max . . . I was thrilled even though a part of me kept saying, "But he's not Jack." It is a darling story that anyone who loves a good, clean romance will love. I highly recommend it. The story lost some momentum for me in the middle when the more religious elements came into play. I'm a religious girl, but I felt like this just slowed the story down and went on too long. That's just me though. The HEA ending happened VERY fast. Over in an instant. I guess I just wanted more between the couple AS a couple- I waited so long for it. No epilogue. It's okay though. I really did enjoy this book for the most part. Exactly what I was looking for in a cute, light romance! Oh. My. Goodness! This book was exactly what I was hoping for when I picked it up. It's a light romance that made me fall in love with the main characters and hope for their lives would turn out all right in the end. Plus there's plenty of humor and fun along the way. And isn't this just the most perfect cover ever! I loved Charlotte. She was such a fun character to be able to see this plot through. I loved that she is a bit naive, while still already having dealt with the breakdown of an engagement. I loved how she took to the whole wishing bracelet thing, it kind of becomes her everything. And I loved that she was willing to take a chance and start going on some first dates. Those first dates are doozies for sure! I had to laugh at the situations she ends up in. And I had to agree with her, first dates are the worst and no one should have to continuously go on them, even if it is to appease their best friend Jack. Who I have to admit, I loved. I loved the way he was constantly looking out for her. I loved how he always knew what she was thinking or needed. And I loved the way both of them were concerned constantly about the feelings of his fiance, Sylvia. The plot of this one is so much fun! I loved the Brazilian aspect of this one. That's where the wishing bracelets come from in the beginning. There is a fantastic Brazilian party scene and a good chunk of the book actually takes place there during Charlotte's cousin's wedding. This part really had me hooked. I want to spend some time on the Brazilian beaches wearing their special flip flops, maybe right now! Run and grab a copy of this one, it's so much fun!